Amazon.com description: Product Description: Cities and the Creative Class gathers in one place for the first time the research leading up to Richard Florida's theory on how the growth of the creative economy shapes the development of cities and regions. In a new introduction, Florida updates this theory and responds to the critics of his 2002 best seller, The Rise of the Creative Class. The essays that make up Cities then spell out in full empirical detail and analysis the key premises on which the arguments of Rise are based. He argues that people are the key economic growth asset, and that cities and regions can therefore no longer compete simply by attracting companies or by developing big-ticket venues like sports stadiums and downtown development districts. To truly prosper, they must tap and harness the full creative potential of all people, basing their strategies on a comprehensive blend of the "3 Ts" of economic development: Technology, Talent, and Tolerance. Long-run success requires a reinvention of regions into the kind of open and diverse places that can attract and retain talent from across the social spectrum by allowing people to validate their varied identities and to pursue the lifestyles and jobs they choose. 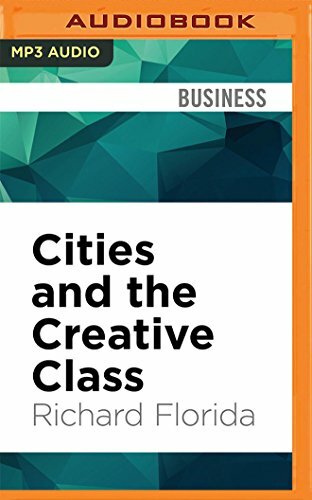 About: Cities and the Creative Class gathers in one place for the first time the research leading up to Richard Florida's theory on how the growth of the creative economy shapes the development of cities and regions.